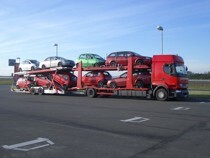 Since 2001 we specialize in transport of new vehicles both personal and utility within EU. Quality guarantee of our services and processes is provided by ISO 9001:2008 certification. Insurance of a cargo up to 15 mio CZK is granted with us. We are currently looking for new professional drivers! Are you looking for a job and you have experience with vehicles transportation? Join the team of our professional drivers! We offer financially attractive job. Do not hesitate and start your career with us. 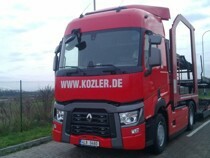 Ludek KOZLER s.r.o. hire drivers with driving license categories C + E.
Travel with us in Western Europe - Spain, France and Germany - countries with high standard facilities for drivers! Interviews with candidates are performed on the basis of the CVs sent or by telephone appointment. Please send your CV to the email autodoprava@kozler.cz or contact us on tel. +420 603 218 480, +420 737 180 819.